Hello. Does anyone have any idea on how to design a lactate monitoring sensor using infrared? I have design a circuit but I have no idea what I'm doing. Honestly, I hope some of you engineers out there could lend me a hand in this matter. A simple circuit would do. i did, ive been googling it for months. most sensors displayed by google are the one that were used to detect glucose, blood pressure and so on. even if it does, the circuits are very complex. So you probably know more about what you are trying to do than anyone else here on CL. To get more help you'll have to give the community more information. Can you post some sort of specification for what you are trying to do? Some sketches of block or circuit diagram? Some sort of description or how-it-works document? Links to similar circuits or systems? It was said that lactic acid has a wavelength of 340nm, 660nm, or 1500-1750nm. There's even a theory saying that the wavelength of lactic acid is equivalent to the wavelength of infrared. In this circuit, I intended to use infrared LED, reflected into any muscle being tested, and photodiode as the receiver. This photodiode will somehow convert the light into current, and through amplification, filtering, buffering and so on, the signal will be displayed using any appropriate data display method I could think of, but I will come back to that once I've completed the most important part of this project. below is an example of blood glucose monitoring circuit i found few months back. i've placed the title as lactate monitoring sensor because i thought i can use the same circuit to design mine. there are probably a lot of errors in the circuit ive shown you. 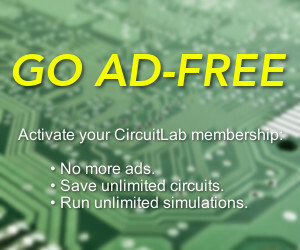 i hope using the same principle, I'll b able to design lactate sensor circuit. It might give some clues. It may be that the infrared LED is pulsed on and off to remove any standing DC offset due to background IR. That is almost certainly why your example circuit has a capacitively coupled input. For a DC IR light source, your example circuit will do nothing. can i use bandpass filter instead of using optical filter that is very costly? i need to measure certain wavelength of the infrared spectral region. is it possible to manipulate the frequency to get the desired wavelength to reach the detector? Sorry but you only have 2 choices to select the wavelength of the IR source. ii) use a source that generates a wider band of wavelengths than you need and then optically filter out what you need either at the source or at the receiver. You cannot do any filtering based on the optical wavelength once you have converted the light into a current at the photodetector. the transmitter circuit i need suppose to produce an input signal of 0.2microAmpere to 2microAmpere. below is the transmitter circuit ive created. but somehow i cudnt get the desired signal. should i change the entire circuit, or should i just change the value of the resistors or etc etc so that i can get the required signal? pardon me for asking too much. i have so much that i wanna learn. Are you sure the transmitter is supposed to have only 0.2uA - 2 uA through it? That sounds much more like the spec for the current through the receiver photodiode. In your led driver circuit, you have put the ammeter in parallel with the IR LED. Ammeters are for measuring current through a device and have a low resistance. Voltmeters are for measuring the voltage across a device and have a high resistance. You have placed the ammeter across the IR LED so you have shorted it out. That is why you see only a very small current in it. You also need to have some sort of current limiting resistor either in series with the LED or in the emitter of Q1. I was wrong. I thought my transmitter cct should have 0.2uA-2uA, but actually it's the spec for the current through the phototransistor that I'm using. "That sounds much more like the spec for the current through the receiver photodiode"
since I'm using a phototransistor, how can I manipulate the current of 0.2uA-2uA going through it? Neglecting any leakage current, the current through the phototransistor is determined by how much IR is falling on it (i.e. how much optical power it is receiving) multiplied by the current gain of the transistor at the conditions it is being operated under (because the current gain varies with the voltage across the collector - emitter junction and may also be affected by any connection made the th base if that is brought out to a pin on the device package). To a first approximation you may be able to neglect the variation in current gain so you can say the phototransistor current is the received power multiplied by the typical datasheet value of the current gain. shows a photodiode and not a phototransistor. I bought an infrared LED, and inside the datasheet of the IRED, it was mentioned that it produces 830nm peak wavelength, when tested with 100mA, when the maximum peak current is 200mA. I was wondering, if I'm going to use lesser current for the IRED, will it produce the same wavelength of 830nm or will it be less? As far as I'm aware, the wavelength of IR LEDs is pretty much constant with forward current. However, it will be affected by the chip temperature which will of cource be a function of the ower dissipation and therefore the forward current. How tightly controlled do you need the wavelength to be? How narrow is your optical bandpass filtering?